Takahiro Hoshino was born in Hokkaido,Japan in 1969. At the age of 4, he began to learn the piano and improvised and played his own music. The following year, he gave his first piano performance. When he was 12, he won The 1st prize in All Japan Youth Music Competition of Hokkaido and 3rd prize in All Japan Youth Music　Competition of Tokyo, Japan. From the Following year he studied at INTERNATIONALEN SOMMERAKADEMIE of the MOZARTEUM MUSIKAKADEMIE in Salzburg, Austria for 3yeras and was chosen to be one of the best pianist for the Gala concert every year. Since 1985 He had studied at the TOHO Gakuen Highschool of Music, Tokyo, TOHO Gakuen College of Music, and research student, Tokyo. 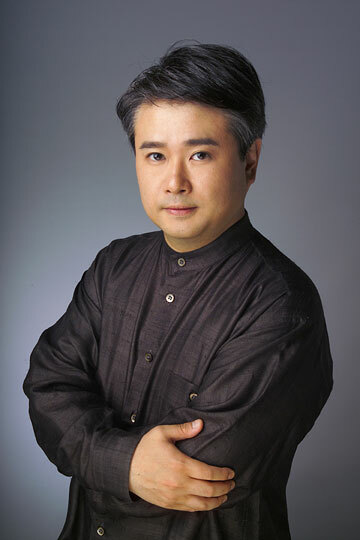 During his musical studies in Tokyo, he won many national prizes, Japan-Austria Culture Society New Artist Audition / All Japan Soloist Contest, Tokyo / Hokkaido International Music Exchange Society “HIMES”　Competition, Sapporo / IENAGA MUSIC Office Piano Audition, Tokyo and he had many piano recitals and Gala concerts in Japan. After guraduating from TOHO Gakuen College Of Music, he studied abroad at the Ferenc Liszt Academy of Music, Budapest in 1994 . From 1998 he received scholarship for his studies from Hungarian State. During his musical studies in Europe, he won many International prizes. 41st Maria Canals International Competition, Barcelona (Special Medalist 4th prize) / 12th Viotti= Valsesia International Music Competition, Italy(2nd prize) / 7th Cantu International Piano and Orchestra Competition, (1st prize and Public prize ) / 20th Masterplayers International Music & Conductor Competition, Poland & Switzerland(Masterplayers Grand Prize and Honor prize) / TIM ROMA, Italy(Special Honor prize). He has given many concerts as a soloist with the Moscow Philharmonic Orchestra, and Hungarian symphony Orchestra, Hungarian MAV Symphony Orchestra, Romanian National State Philharmonic Orchestra, Romanian Craiova Philharmonic Orchestra, Polish Sudeteka Philharmonic Orchestra and Prague Chamber Philharmonic orchestra. In addition to cities in Japan he has had piano recitals and Gala concerts in several European towns including Salzburg, Lugano, Milan, Florence, Paris, Prague as well as Budapest. He was invited from at “7th Yong Prague International Music Festival” at Rudolfinum-Dvorak Hall, Prague and “Hungarian 5 Lyra International Music Festival”. And he was given “Hungarian 5 Lyra Prize” for the best talented musicians in 2000, his official debut recital in Tokyo was a great success and highly evaluated by music journals and musicians. One of the journals, “Ongaku Gendai” appreciated highly his performances and talent on the top page as “ One of the best 10 pianists in Japan”. After that he has given some recitals and joint concerts in Hokkaido, Hiroshima, Gifu, as well as Tokyo. Last Autumn he has invited as a soloist with the Sapporo Symphonic Orchestra and Prague Chamber Philharmonic Orchestra. Last May, his debut CD Album “LISZT-SCHUBERT”(AUCD-6) was released by AURORA CLASSICAL(Octavia Record) and it was appreciated highly by many Music Magazines. Until now he had taken lessons from Hiroyasu KAWAHARA, Noriyuki Miyazawa, Sadako MATSUOKA, Etsko TAZAKI, Gyorgy NADOR, Ferenc RADOS, Vincenzo BALZANI, Eric HEIDSIECK.